Gorni Altay is the most remote Siberian area on the border with Mongolia. These are mountains with peaks reaching 4.000 meters, practically empty, with no permanent human settlements. Numerous natural state Maral deer inhabit these immense areas, but the hunt is difficult, requiring the use of horses and fly camps, while the result is always uncertain. We are in position to offer something different. A private propriety exists in the area with immense enclosures for Maral deer that are kept for the sale of the antlers on the Chinese market. The propriety covers 16.000 hectares and hunting is organized on 1.500 hectares, where the deer tend to concentrate. 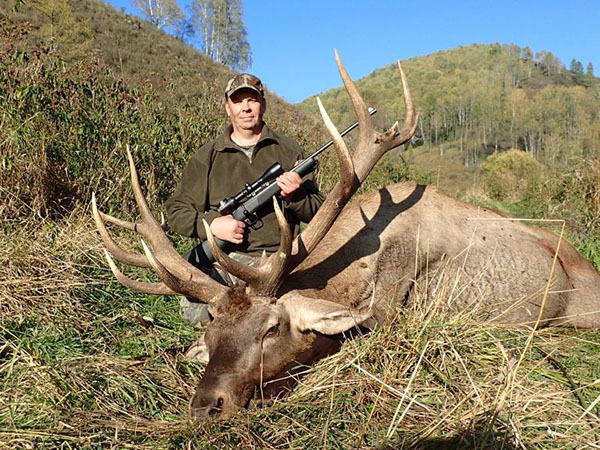 The owner has constructed a very cozy hunting house and offers the possibility to hunt Maral deer over 6 points at very interesting prices and with a guaranteed result. The hunters stalk around the hunting house, from where they start out using the hunting vehicle and proceed on foot searching for the animals. A good physical condition is not required for this hunt. In order to reach this remote area hunters fly to Barnaul and continue for approximately 4 hours driving. Renting a small helicopter is also possible and this ride offers spectacular views of the stunning Russian nature in this area. 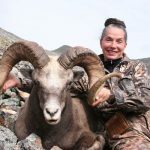 Hunting organization with the assistance of local guides, one English speaking interpreter per group, lodging and full board in the hunting house, all transport during the hunt, hunting permits, first treatment of the trophies, trophy fee of one Maral. Air fares, car transfer from Barnaul to the hunting area € 200 per hunter, additional trophy fees, visas, rifle import permits (rifles are available for rent for € 100 for the duration of the hunt), hotels before and after the hunt, trophy shipment to final destination, veterinary certificates and other export documentation, insurance, tips, drinks and personal extras. • Non hunter fees are US $ 350 if no extra vehicles are required. • Kri Kri and Alpine Ibex has to be booked at least 1 year in advance and confirmed if license in available. • The airport of arrival should be Skopje in Macedonia.